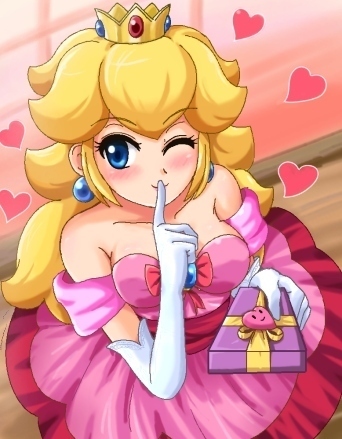 Peach's Gift. . Wallpaper and background images in the Princess Peach club. excuse my language but,YOUR A BIG PEICIE OF S***!! !YOUR POSTEN THESE SUPPER INAPPROPIATE PHOTOS!! THAT GOSE TO BLUE TYPHOON OR BLUE IDIOT!!!!!!!!!!! This is one of my fav pics! i completley agree with leilaokori, blue(idiot)typhoon is a sick freak! blue idiot has no life!